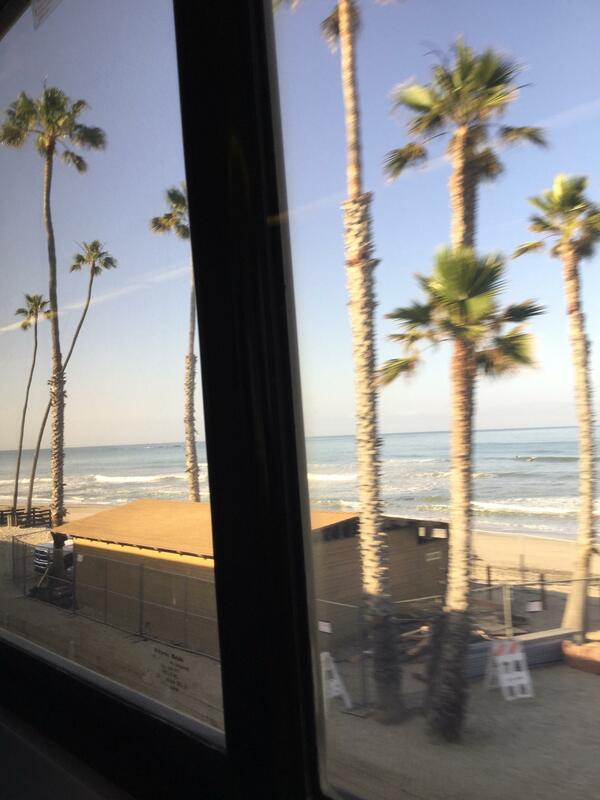 These very poor photos were just taken with my iPad Mini as I sit on the train, returning to San Diego. Much of the ride, especially in Los Angeles County, goes through some quite ugly industrial areas. However, the run through many parts of Orange and San Diego Counties goes right by the Pacific Ocean. In these parts there are literally the train tracks, the beach, and the ocean. Sadly, I'm no photographer and the iPad camera probably didn't help but I hope you get the idea of just how beautiful parts of this trip are. Driving and taking the freeway is considerably faster (two hours, as opposed to three) but the drive never gives you views like this. I have also done this trip in the evening, as the sun is setting into the ocean, and that sight is just incredible. No no...those are great shots Freddy! Boy, I love those beach towns that ride the coast above San Diego. Great part of the world & I hope the visit with your sister was fun. Nice photos, Freddy. They bring back memories of when I was 16 years old, many years ago, and rode my touring bicycle from Long Beach to San Diego on Hwy. 101. Lots of wind buffeting and anxiety from cars and big trucks whipping past, but great views. 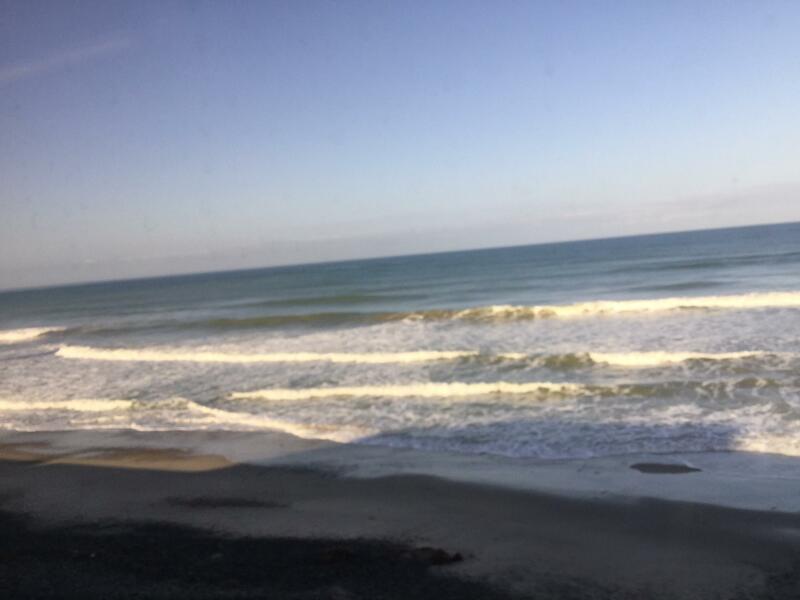 In addition to the views, I’m guessing that the train ride was more relaxing than driving a car would have been. I love riding the train but it's been a long time since I've done it. I've only ever gone from Pontiac, MI to Chicago so the views were obviously not as good as yours. Looks like an awesome ride! Great photos and I hope you had a fun trip! Thanks, guys. It was good seeing my sister and brother-in-law. Sis and I meandered around Santa Monica one day and went to downtown L.A. another, where we went to the Grand Central Market and the Bradbury Building. Matsilainen, you are SO right about the train vs. driving. I avoid driving in the L.A. area whenever possible. Very nice. The last trip I took on the train was from Galesburg, Illinois to Raton, New Mexico. Given the choice of plane, train, or car - I would take the train. (05-19-2017, 03:57 PM)Cincinnatus Wrote: Very nice. The last trip I took on the train was from Galesburg, Illinois to Raton, New Mexico. When I take the train up to Los Angeles, that extra hour it takes, compared to driving, is definitely worth it. The leg room and seat width is fantastic, there is an outlet for me to plug in my iPad or phone, there is free and easy to connect to Wi-Fi, and I'm taken center city to center city. The stress of driving in that insane Orange-Los Angeles County traffic isn't there and I really appreciate that. Having said all that, sometimes flying is really the only viable option, as much as it has become so dehumanizing. 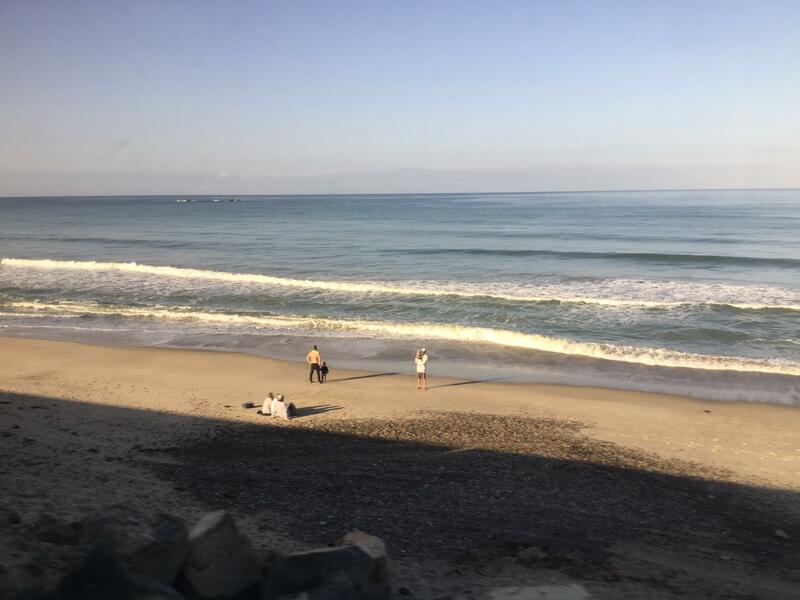 I visit my friend in Buffalo a few times a year (he can no longer travel long distances to come out to San Diego) and he suggested I take the train one time so I looked into it. At 71 years of age, I am not about to sit up in a seat for three days, no matter how comfortable that seat is. To get a sleeping compartment shoots the price up to more than my upcoming flight to Edinburgh, Scotland. Add to that two changes of trains, including a 5-1/2 hour layover in Chicago and it all boils down to facing all of that vs. the misery of flying for six to eight hours and it, sadly, becomes no contest. I can appreciate your sentiments with regards to the L.A traffic. I've visited the city on three occasions on vacation and the traffic is the worst I've experienced in the States. It's worth it (marginally) when I get to the PCH though. (05-19-2017, 07:11 PM)1morepasswill Wrote: I can appreciate your sentiments with regards to the L.A traffic. I've visited the city on three occasions on vacation and the traffic is the worst I've experienced in the States. It's worth it (marginally) when I get to the PCH though. Get out of that rat race and visit San Diego.